It’s one of the most famous and magical cities in Italy, with must-see sights like the Duomo and Michelangelo’s David, yet you can still enjoy Florence on a budget! Here’s our guide to making the most of 3 days in Florence, Italy, including important tips on buying museum tickets as well as free things to do and affordable places to eat. In September my student son Ed went to Florence with a friend for a few days. They wanted a city break somewhere sunny and beautiful, an easy flight from London and not too expensive once they got there. Florence filled the bill. I’d been worried it might be pricy but they’ve proved me wrong. In three days in Florence, plus two travel days via Pisa, they spent around £100 each, not including flights and accommodation. Here’s Ed’s guide to staying in Florence on a budget. This post contains affiliate links, this means that I may receive a commission at no cost to you if you click a link and make a purchase. This is not a sponsored post and as always all opinions are our own. Ed: Neither of us had been to Florence before, though we’d both visited Italy a few times. It’s a world famous historical city so we knew it was going to be beautiful. We planned to see the sights and spend some time just wandering and getting a feel for the place. We didn’t want to spend a lot of money but in fact it turned out to be cheaper that we’d expected. You can’t see all of Florence in three days but that’s certainly enough time for the highlights – if you plan ahead. We made a mistake that meant we nearly missed the chance to see two of Florence’s most iconic sights. So read on to make sure you don’t do what we did! We flew to Pisa on an 8am flight. At Pisa we took the shuttle from the airport to the station. We had a quick lunch then caught a train. The journey from Pisa to Florence takes about an hour. There are plenty of trains and good views on the way, especially if you get onto the top deck. We arrived in Florence about 3.30pm and it was still very sunny and hot. On the way home we had a quick look at the Leaning Tower on our way back through Pisa. Like this post? Please pin this to save and share to Pinterest! Stay south of the river. We stayed in an apartment in Oltrarno which was convenient for all the sights but cheaper than similar Airbnbs in the centre of Florence. Walk everywhere. If you stay centrally enough there’s no need to use public transport or taxis in Florence. We even walked from the railway station to our apartment as we didn’t have much luggage. Eat like a Florentine. We avoided tourist restaurants and hunted down the places where the Italians eat. We had delicious meals that worked out just as cheap as if we’d cooked for ourselves. Make the most of the free views. If you visit Florence in the summer the evenings are a lovely time to walk around and enjoy the city. Instead of going for drinks in a bar after supper we watched the sun setting over the Arno, listening to music and enjoying the weather. Make the most of the free art! Florence is like an open air museum: there are beautiful statues and fountains in many of the public squares. You can enjoy the amazing interior of the cathedral for free too as long as you don’t want to climb the dome or visit the other parts of the Duomo complex. Our top tip is to book your tickets for Florence’s main attractions before you fly. All the guidebooks will tell you that two of the major must-sees in Florence are Michelangelo’s David in the Accademia and the city rooftop view from the Duomo, the cathedral. (In fact there are a couple of substitutes if you don’t manage to get to see these, and we nearly didn’t, see below). Our mistake was that we waited until we arrived before we booked our tickets for the Florence museums. But iconic attractions like the view from the dome of the cathedral and the Accademia are busy even in September. We had to book time slots two days ahead – it was lucky that we were staying for three days and it meant that we were very busy on our last day in Florence. The Duomo complex is ginormous, you can’t miss it, so we went there on our first morning. You can get a great view of the city from the dome of its most famous landmark. The Duomo offers a combined admission ticket for Brunelleschi’s Dome, Giotto’s bell tower, the Baptistry, the Crypt and the Opera museum. Bear in mind that entrance to the cathedral itself is actually free if you don’t want to do the rest. Once you have your admission ticket you can visit each of the different areas once within 72 hours. But to climb the dome you must reserve a timed entrance. The soonest we could book was in three day’s time. Find more info about booking tickets for the Duomo in advance on their official site, here. Book a one hour guided climb to the dome here including 72 hour access to the rest of the Duomo complex. That first morning the queue to enter the cathedral was long so we went up Giotto’s bell tower instead. At 87 metres high it’s not as tall as the cathedral dome though there are still 414 steps and no lift. From the top it gives you a great view of the cathedral as well as the rooftops of Florence. This is almost a substitute for climbing the dome itself as you get a great aerial view of the city. What you do miss is the interior view of the cathedral and at the top there’s wire fencing around the terrace which does get in the way of photos a little. On our second morning we got up early and went back to see the cathedral. But there was already a long queue. This time we went into the Opera museum instead. It tells the history of the Duomo and has a huge collection of medieval art and statues. Don’t miss the Gates of Paradise, huge gilded bronze doors originally made for the Baptistry by Lorenzo Ghiberti when he was 21 years old. On our last day in Florence we went back to the Duomo in the afternoon for our timed entrance to the dome. We’d given up trying to get into the cathedral as the queue was always long but anyway, we were able to see a lot of the interior on the climb. The steps – many steps – wind up the inside of the cathedral. It’s a great view: the higher you get the closer you are to the paintings on the ceiling of the dome. It’s a bit cramped, hot and claustrophobic on the way up. There are 463 steps in all and no option of a lift but everyone is moving slowly and stopping to look so there’s no rush. Finally you go outside onto the terrace for a spectacular 360° view of Florence with no wire fence to get in the way. Giotto’s Campanile or bell tower is part of the Duomo complex. Seen here from the dome. Nb. It’s worth knowing that the rules advise that you shouldn’t wear shorts, sandals, hats or sunglasses and must cover your shoulders to enter the cathedral. But this didn’t seem to be very strictly enforced. The same thing happened with our trip to the Accademia. It’s home of Michelangelo’s iconic statue of David and Florence’s most popular museum. We booked online on our first day in Florence but couldn’t get tickets at a convenient time for two days. This meant that we had to go on the afternoon of our last day. Luckily there is more than one statue of David in Florence! Obviously you have to pay to see the original in the Accademia but it’s so popular that there are two replicas in town too. One is in Piazza della Signoria and the other in Piazzale Michelangelo appropriately enough. But the real original David is in the Accademia and it is worth the booking ahead. We got there about 5pm on our last afternoon. Thanks to our booking issues we’d already been to the Uffizi and the Duomo that day! We were pretty art-ed out so it was as well that the Accademia isn’t a particularly big museum. There are some unfinished works by Michelangelo and a section on musical instruments but the main attraction is the David. He stands at the end of a long gallery that was built specially for him. It wasn’t particularly busy except for a small crowd around the statue himself. It’s very imposing and impressive. We were really glad to have seen it but basically we’d seen way too much already that day. So remember – book museum tickets in advance before you arrive in Florence! Here is the official site for more info on the museum and tickets. Book a timed entrance ticket to the Accademia to see Michelangelo’s David here. Of course the same thing happened with the Uffizi Gallery, one of the most famous museums in the world. We bought our tickets online on our first morning in Florence and managed to get an early slot for our third morning. We turned up 10 minutes ahead to pick them up (along with our Accademia tickets at the same time), there was a short queue at the pick-up office, but no queue at the actual entry. We did well to get there early; although our timed entrance was 8.30 am, the gallery was already bustling with people, but not heaving. We liked the star attractions: Botticelli’s Birth of Venus and Primavera and a temporary exhibition of Fritz Koenig sculptures that were in the Boboli Gardens too. We used a Rick Steve’s audio guide app to help us navigate which we’d downloaded in advance. Ed has also helped me put together our new guide: 105 Things to Do in London with Teens – by Londoners. Do click here to read, we hope it’ll give you lots of inspo for your next trip. Florence is an ancient and beautiful city – and walking around it costs nothing! Here are a couple of free vantage points to take in the views. One evening just before sunset we went for a walk in Oltrarno, south of the river, near our apartment. We popped into a shop for a bottle of prosecco and some snacks and took them up to the viewing terrace at Piazzale Michelangelo. There is a bus service up the hill but we decided to walk there along the long flight of ramps and steps. It’s very busy and touristy at the top but it has a famous panoramic view across the Arno to the centre of Florence. Everyone sits on the steps and watches as the sun goes down. There’s a replica of the David statue there too. The Ponte Vecchio was one of the bridges we crossed each day from our apartment to reach the centre of Florence. In the evening after dinner, we’d stop there for a while on the way back home. The nights were warm and although the shops on the bridge had all closed there’d be one or two people playing saxophone, a few others sitting on the wall listening, a couple dancing. It was very relaxed and the night views of the river are great. The Boboli Gardens is a huge park set on a hill, south of the Arno. It’s the biggest green space in Florence and a lovely scenic place to go for a walk. It isn’t free, there’s an entrance fee, however if we hadn’t gone there first we probably wouldn’t have discovered the Belvedere Fort. The Gardens lie behind the Pitti Palace and contain museums, fountains, statues, sculptures and even a grotto. It’s on the hillside so there are lots of steps but also shady places to sit down. You could take a picnic and spend all day there. At the very top of the hill, adjacent to the Gardens, is Forte di Belvedere. It’s a star-shaped fortress built in the 1500s by the Medicis as protection from potential attack. For this reason it has really impressive 360° views of Florence and the surrounding Tuscan countryside. Apparently, although we didn’t know this at the time, it’s also where Kim and Kanye got married. Anyway on the plus side it was quite quiet. There’s a bar on the terrace, so we had a drink, enjoyed the view and played cards. It cost 3 euros entrance so it’s not quite a ‘free thing to do in Florence’ but it’s very good value! Click here to book a 2 and a half hour sightseeing bike tour of Florence, crossing bridges on an almost traffic-free route and including gelato! The Palazzo Vecchio is the town hall. The original David statue used to stand in front but has been replaced with a copy. We’d planned to cook a lot of our own meals in our apartment to save money. In fact we didn’t need to because we found some really good and cheap places to eat. Pizzas were less than 6 euros and really delicious, ice cream was only 2 or 3 euros for lots. We’d packed three guidebooks from the library so before we went anywhere to eat we looked up suggestions. Everywhere we ate was a recommendation and the only bad meal we had was in Pisa which we hadn’t guidebook’ed first. We wanted to stay as close to the historic centre as possible without it costing a fortune. After some research we picked an Airbnb in the Oltrarno neighbourhood, south of the river Arno and near Carraia bridge. This turned out to be a great choice. Our apartment was in a quiet and pretty neighbourhood, not at all touristy, but the main sights were only a ten minute walk away. Plus our daily walks took us across the bridges that span the Arno. We could get pretty much everywhere on foot so we saved on public transport too. Like this post? Please pin one of these images to save and share to Pinterest! Have you been to Florence? What was your favourite experience there? Join in the conversation in the Comments below. You have inspired me to go back to Florence next year. I was there in 2014 for 4 frantic days, and would like to take it at a gentler pace. Thanks so much, Ed has inspired me to go back too! Such a lovely collection! I loved Florence over 10 years ago when I explored with friends – some of our best meals in Italy! Similarly we looked for local gems rather than touristy ones, perhaps less on the budget side, we had a friend with us on the trip who took the view we just put all on a credit card and investigate just when the hols are over. Funnily enough it worked! 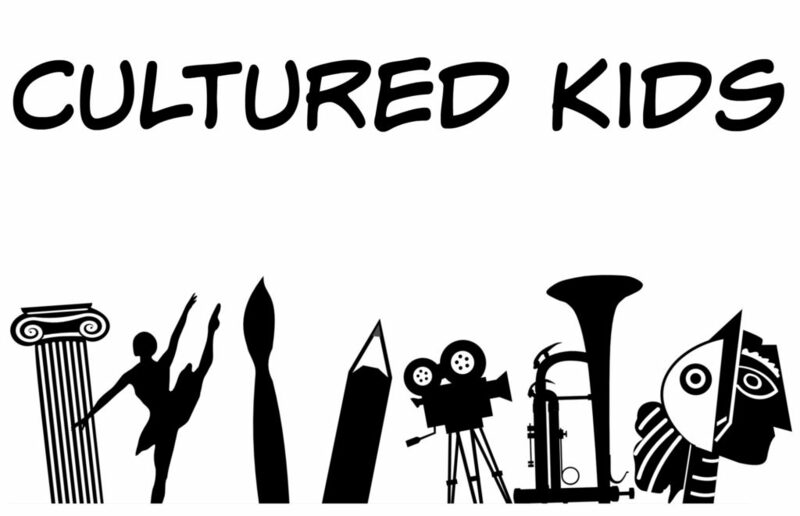 🙂 thank you so much for linking in with #CulturedKids! Lots of thanks Vyki, I’m really glad they persisted too! I haven’t been up into the dome either – what a fabulous view! Thanks so much Megan! I completely agree – I was thrilled they had a great time without it costing the earth. Yes, definitely worth the extra effort! Thanks for the reminder of my own trip to Florence! I enjoyed many of these spots and would love to revisit Florence one day. Thanks for the comprehensive itinerary! Thanks Bryna, I’d love to revisit Florence too! Yes, exactly. I was really glad they managed to see so much and have an authentic experience without it costing a fortune! These are fantastic tips – definitely bookmarking this for later! I really want to go to Florence (my daughter is called Florence), but also because it sounds and looks so beautiful – great piccies too! #MondayEscapes! Thanks so much -it is as beautiful as it looks. Have a lovely time there together when you do go! Well done, Ed, on such a comprehensive guide to Florence – lots of really useful tips. I’ve only been once, on a day trip when we were staying in the Tuscan countryside. We managed to do quite a lot in one day but maybe twenty years ago things were quieter as we just wandered into the cathedral without queuing! Thanks very much Trish. We went a couple of times about 20 years ago too! And yes, I don’t remember it being particularly crowded although we would have been there in February so perhaps that’s why it was quieter. That’s great to hear, thanks Katy. I’d love to go again.